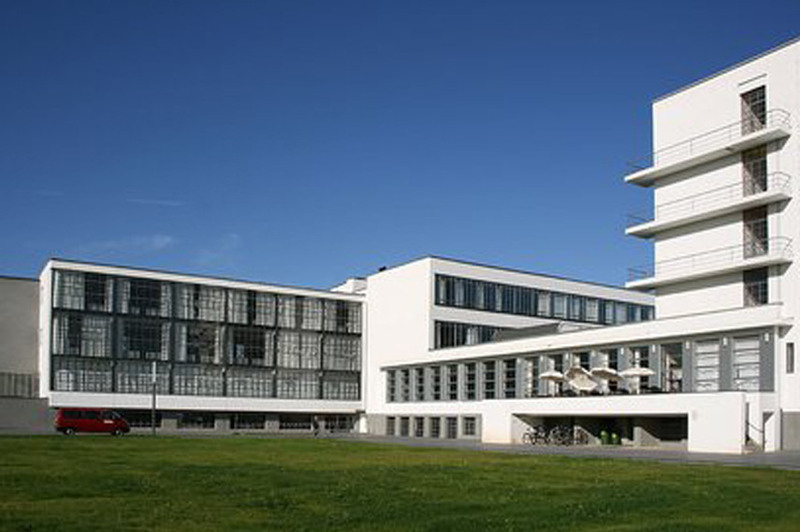 A German architect Walter Gropius created the Bauhaus in Weimar in 1919, from the merger of the Grand Ducal Saxonian School of Arts and Crafts and the Grand Ducal Saxonian School of Arts. He made himself a director of the newly created school for art and design, as well as the leader of the newborn movement. Immediately, he proceeded to write some sort of rules and regulations for the uprising organization. 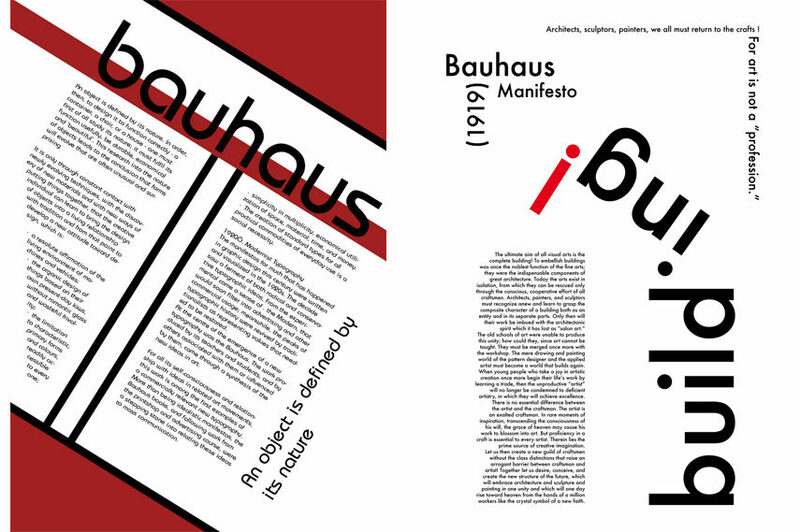 He printed it on four pages, and there it was – the Bauhaus Manifesto. Those four pages included a founding manifesto and a detailed teaching program of the new school. Gropius had made his idea pretty much clear to everyone and he had set a plan for the first teaching semester. Simply put, the aim was to bring architecture, sculpture, and painting back to the craftsmanship. In fact, Gropius claimed that fine arts should be unified under the primacy of architecture. He also thought that craft quality actually is the ultimate source of creative design. “The ultimate goal of all art is the building!”, Walter Gropius made his point right from the start of the Bauhaus Manifesto. Art is no profession, he claimed. Therefore, architects, sculptors, and painters must return to the work of craft. In other words, artist and artisan are the same. Rear are the moments of illumination beyond man’s will that may allow creation to blossom from the handmade work to the work of art, Gropius wrote in the prospectus. That is why he wanted to recreate craftsmanship and erase the artificial barrier between ‘noble’ artists and ‘working’ craftsmen. For the aim of future building, he claimed that every art discipline should unite as one. That is exactly what he was doing with Bauhaus. It was an ambitious program aimed at freeing the art world of its own isolation. Eventually, it became one of the most influential art movements in the history of art. It was hard to imagine that this kind of movement will easily catch on in the United States, for example. But that is exactly what happened. Now, it is impossible to walk around any American city and not to be intrigued by the great amount of the Bauhaus influence on its architecture. The basic rule of the Bauhaus Manifesto is that functionality gets to dictate the form. It is all about products being functional and unique. Making things durable and economical while covering its essential functions is also very valuable. With the beginning of a mass use of the machines at the time, makers needed to re-imagine and re-create their visions and future goals. Using a lot of machines instead of people may have had a negative influence on the creativity, yet it led to positive results when it comes to mass production and saving a lot of time and money. That brings us to the next very important issue of the Bauhaus Manifesto – economic way of thinking. It doesn’t mean the penny-pinching or the cheeseparing, and it doesn’t include the burning candles on both sides either. What they wanted to achieve was a controlled finance, productive time-consuming projects, precise material use, and a spare space. It is all about the smart use of resources, with a zero-waste ideal in mind. Bauhaus is all about new techniques, new materials, new ways of construction, new attitude – all the time. It emphasizes going forward, strong progress, and constant evolution of architects, designers, and artists, as well as their work. Evolving firms lead to the constant discovery of new, unusual, and surprisingly interesting findings. 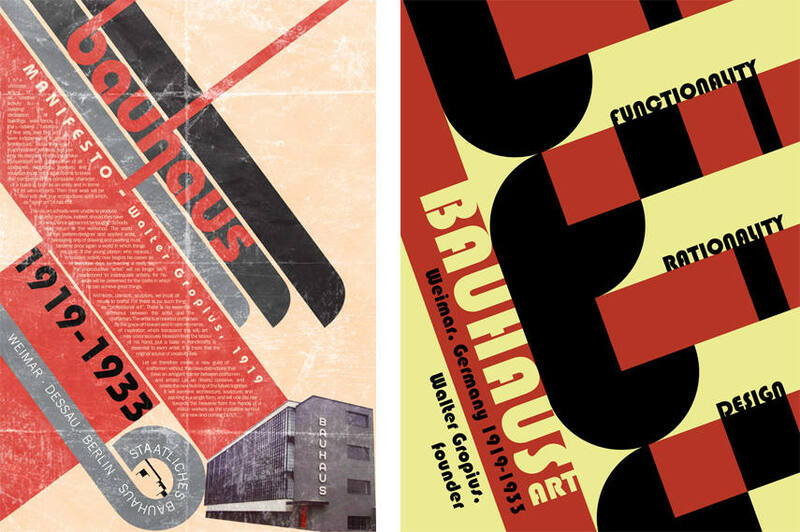 Bauhaus also influenced the development of graphic design in the early 1920s. Before that, typography used to be rather overwhelming and fulfilled with imagery. The design itself was over-decorated, so the new system was set. It went on from the strict structure to the usage of a lot of negative space and rigid type. The new design was born. There is no need for additional (unnecessary) ornamenting and making things more and more ‘beautiful’. They are just fine as they are. It is all about so-called organic design, revealing the nature of objects. Bauhaus celebrates pure forms, clean design, and functionality. Or, should we say – multi-functionality. Created product, whether it is an architectural project, craft work, design, or an art piece, should be functional. That should be its main characteristic. Everything else follows. On the contrary of once cherished ornamentation of buildings as one of the main goals of visual arts, Bauhaus movement was determined to clear the form, while still keeping the artistic side to it, only far more simple than it used to be. 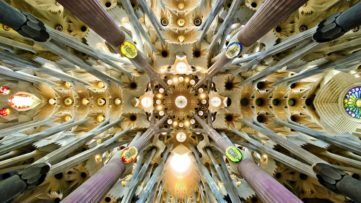 For that purpose, architects, painters, and sculptors must learn the new way of composition, meaning that art should be brought back to schools and workshops. How did History Unfold for the Movement? After five years, further work in Weimar became impossible, so the Bauhaus was up to finding a new place for development. 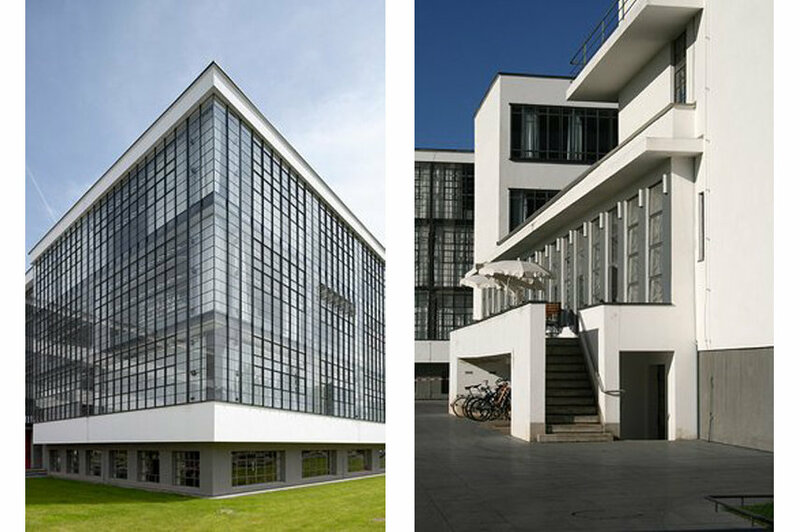 Frankfurt was one of the options, but the final choice for Bauhaus Masters was Dessau, an industrial city in central Germany, partly because there was an opportunity for a new school building over there. Everything went on greatly for the movement from just until 1932 when this school of design was closed under the pressure from National Socialists. Later on, in 1987, it merged with two educational institutes to form the Bauhaus Dessau, and in 1994, it became the Bauhaus Dessau Foundation. In 1996, it was declared a World Cultural Heritage Site, and the complete restoration followed, which ended in 2006. 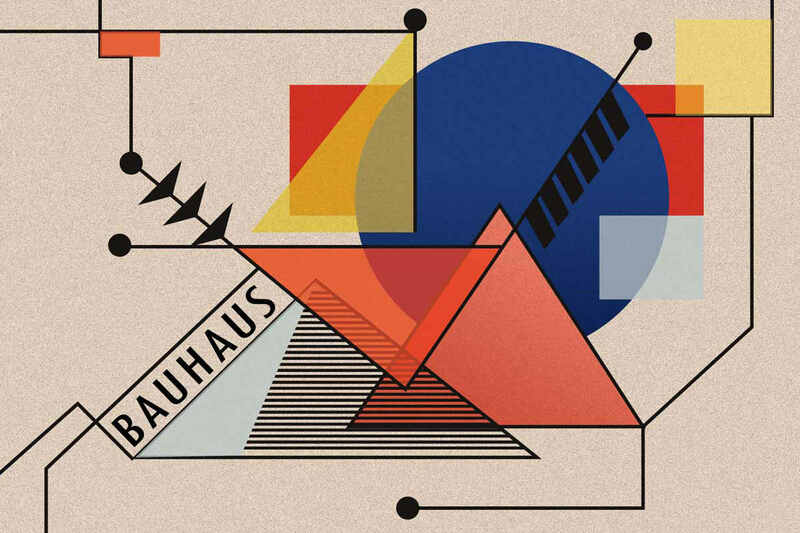 Today, the Bauhaus is living its second youth as a vital place for experimental design, research, and education, working on contemporary urban issues, truly similar to the Bauhaus legacy. When Walter Gropius came to Weimer, he was 36 years old, and he was going through tremendous turbulence in his private life. He was married to Alma Mahler, Austrian craftswoman, painter, and composer usually described as ‘one of the most demanding femme fatal of the 20th century’, with whom he had a daughter Manon and a newborn son Martin. But it was soon rather than later that Gropius had to find out that Martin actually isn’t his son, which followed the discovery of Alma’s long lasting affair with Austrian novelist Franz Werfel. He moved to Weimer while going through a divorce. It was immediately afterward that he initiated merging of the schools and starting of the Bauhaus. His students had no idea about his private life. They saw a strong character determined to succeed with his idea of the Bauhaus movement and the integration of art, design and crafts schools into one. Only when they had realized what was going on, having in mind also that in the meantime little baby Martin died of illness when he was only ten months old, only then did everything came together as an acknowledgment of the inner strength that Gropius had, with a mind determined for success. True success was it, indeed. 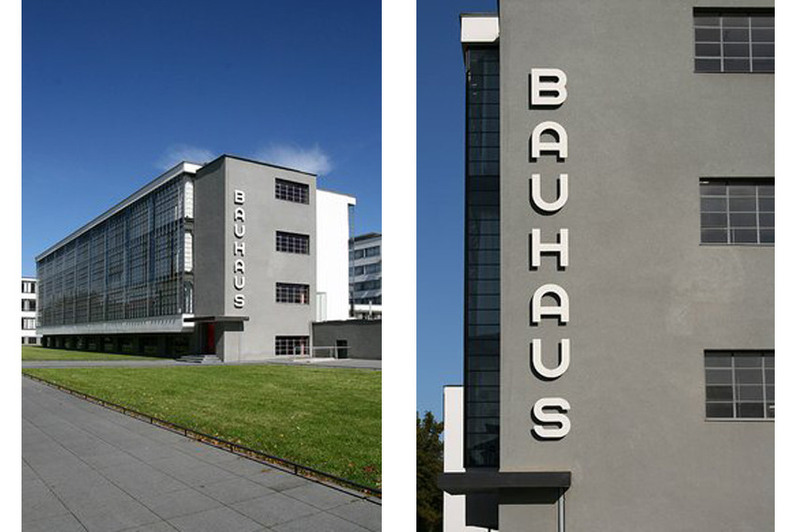 Bauhaus is certainly one of the most famous art schools of modernity. It successfully managed to connect fine art and craftsmanship and made that fusion applied through a wide range of architecture, design, painting, sculpture, film, photography, and other visual and performing arts. Some of the renown names of the European art scene in between the two world wars were part of this art school and movement. 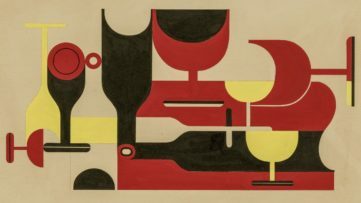 There were Wassily Kandinsky, Josef and Anni Albers, Paul Klee, Gunta Stolzl, László Moholy-Nagy, Marianne Brandt, and Ludwig Mies van der Rohe, among others. Bauhaus was active in Weimer, Dessau and Berlin, and in each of these cities, there was a creative exchange between teachers and students, followed by the variety of their artistic styles. They were all innovative, adventurous, creative, and they presented the new paradigm in art education. 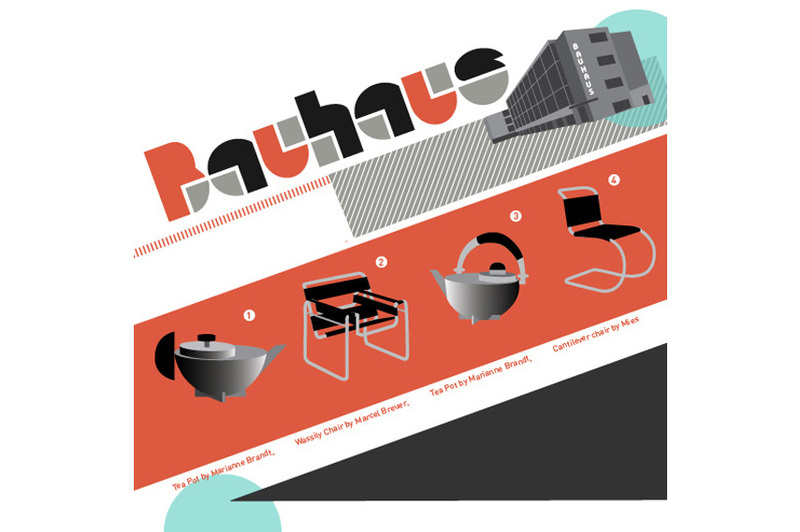 As part of the Taschen’s Basic Architecture Series, this book celebrates the Bauhaus movement as one of the most important ones in the 20th century. Featured image: Bauhaus vector – Image via www.Vecteezy.com. All images used for illustrative purpose only.